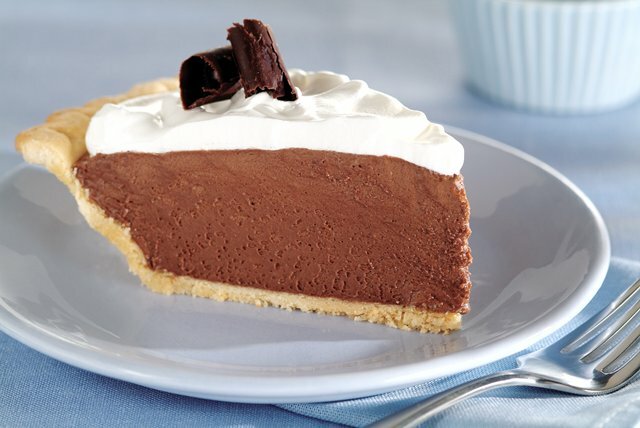 Experience a chocolate lover's paradise with Chocolate French Silk Pie! Prepped in just 15 minutes, Chocolate French Silk Pie is decadent and delicious. Bake pie crust as directed on package for unfilled one-crust pie; cool completely. Melt chocolate as directed on package; cool slightly. Beat butter and sugar in large bowl with electric mixer on medium speed 3 min. or until light and fluffy. Add melted chocolate and vanilla; mix well. Add egg product. Beat on high speed 2 min. or until light and fluffy. Spoon into pie crust. Refrigerate 3 hours or until chilled. Top with the whipped topping. Store leftover pie in refrigerator. You'll know it's a special occasion when you get to enjoy a serving of this decadent chilled pie.